Our magnificent chain necklaces have landed with a luxurious thud. This luxurious statement necklace would make an impactful addition to your jewellery collection. The double links add weight and the elegant, oversize t-bar delivers a luxurious and contemporary twist. 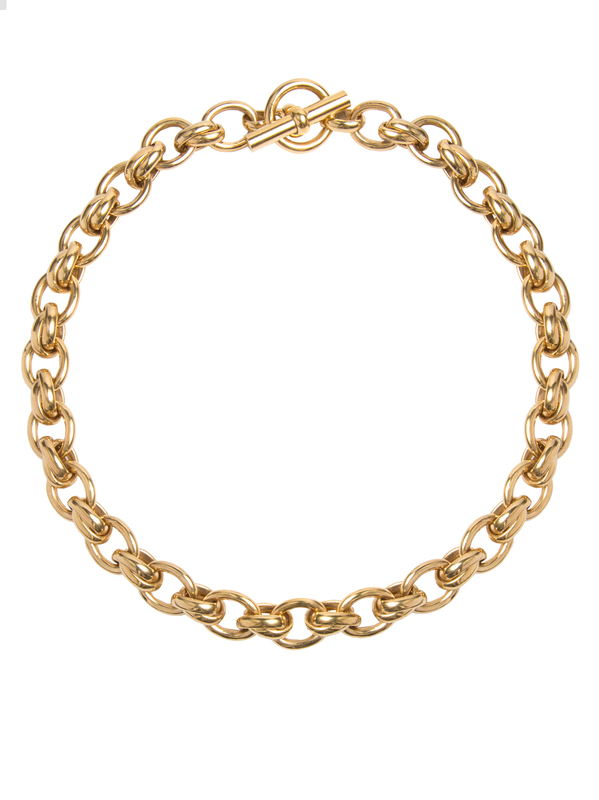 This necklace 18ct gold measures 45cm but with each piece being made to order. Lead times are approximately three to four weeks.